Healthcare organizations have spent a fortune on new health IT solutions with the goal of improving outcomes. But as new revenue management, population health and analytics applications are layered on top of each other, the result has often been a mountain of administrative burden that leaves doctors and nurses burned out and patients feeling ignored. Despite the near-ubiquitous presence of “patient-centered” language in healthcare quality discourse, the full realization of human-centeredness remains elusive in many care settings. This must change. Technology providers need to work with, and for, clinicians to help them restore resilience, well-being and joy to the practice of medicine. A 2011 JAMA report found that career dissatisfaction is more common among medical doctors than it is for those in other careers, with 45 percent of physicians reporting at least one symptom of burnout. A report by the Experience Innovation Network reveals that the number has continued to climb, with 54 percent of physicians reporting they have experienced at least one symptom of burnout. 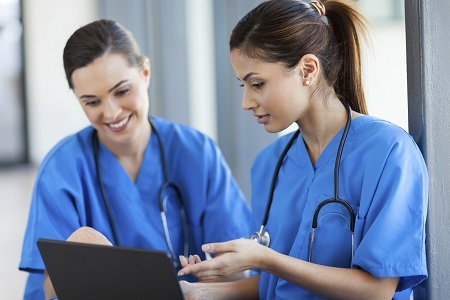 EHRs have become a double edged sword — essential for continuity of care and electronic document exchange, but often, a burdensome and physical barrier between doctor and patient. Doctors must repeatedly sort through numerous clicks and break focus with the patient to enter data, effectively limiting moments of interaction that improve the physician-patient bond. In an effort to quantify the impact of EHRs, a 2016 published study that directly observed 57 physicians for a total of 430 hours revealed that 49 percent of a physician’s day is spent doing clerical tasks, while only 33 percent was spent interacting with patients.